When Okafor was drafted third overall in the 2015 NBA Draft by the Philadelphia 76ers, he was supposed to be a key part of ‘the process’. Then, after a promising rookie season where he averaged 17.5 points and 7.0 rebounds per game, Jahlil Okafor more and more became the odd man out on the 76ers. It was like he’s never really arrived in Philly and his playing time dwindled by the week. Many thought that these days were over when he was traded to the Brooklyn Nets. Unfortunately for him, this didn’t work out either. Jah barley played and when he played, he wasn’t able to impress. Okafor was meant to save the traditional big man. The NBA has definitely taken on a new identity and direction especially in recent years. Every season the league seems to be getting smaller and play at a much faster pace. The term “small ball” has never been more in effect. The recent Championship won by the Golden State Warriors are a prime example and evidence that going small aided them tremendously when they were struggling to get their rhythm and pace. Small ball was firstly introduced during the Magic Johnson “Showtime Lakers”, when they went small on occasion, mainly due to the versatility of Magic Johnson with his size and skillset. However, nowadays it’s a common theme. Teams will usually have a small ball line up that they will not hesitate to turn to if they need some pace or spark especially offensively. Thus, highlights the changing face of our league. Although this may be a sign of change and growth, for some, it’s a sad reality that the game has turned away from the traditional dominant big man down low. Gone are the days of bigs winning MVPs and being franchise centrepieces. Some feel the days of dumping the ball into a big man in the post and letting them go to work, as well as crashing the boards, blocking shots and patrolling the paint were slowly fading. Even though, he still is only 23 years old (less than three years ago he was seen as one of the biggest big man talents in the NBA) no team wanted him, until the New Orleans Pelicans gave him a chance and signed him to a partially guaranteed two-year contract (partially guaranteed in his first season, team option in his second season). 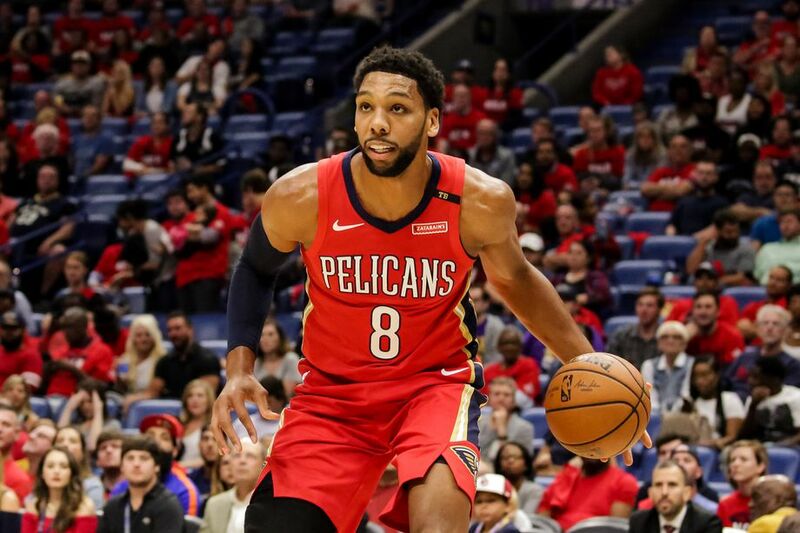 It was an easy, low-risk signing (only $50,000 guaranteed), with the potential to end up being a win-win situation for both, Okafor and the Pelicans. This is what we’re witnessing right now. Through his last four games, Okafor is averaging 19.8 points, 10.8 rebounds and 2.8 blocks per game. All of that, while shooting 75 percent from the field. He is showing the world once again that he’s one of the best offensive big men in the league. It may have taken a couple of injuries and bad team performances for Okafor to be granted the opportunity he’s having right now, but he’s fully taken advantage of it. And once Anthony Davis leaves town, this opportunity will become even bigger. Next story MJ, LaVar, Cuban – The Greatest NBA Celebrity All-Star Game Ever? !